Welcome to the website of the New Jersey Area of the American Association of the Sovereign Military Hospitaller Order of St. John of Jerusalem, of Rhodes and of Malta. 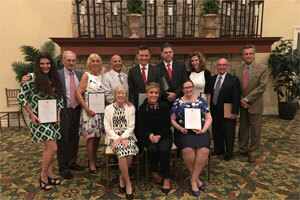 The New Jersey Area has over 150 members who live throughout the 5 New Jersey Dioceses of Camden, Metuchen, Newark, Paterson and Trenton. 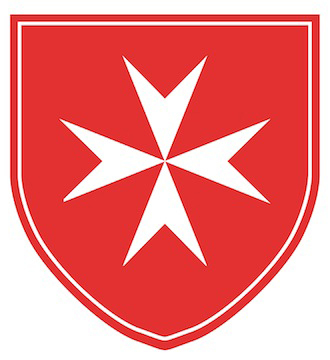 The Order of Malta is a lay religious order of the Roman Catholic Church with 13,000 members and relief operations worldwide. Today, as at its founding over 900 years ago, the Order is foremost a Hospitaller Order, with members personally providing hands-on assistance to the sick and the poor. The Order traces its origins to the creation of a hospital in Jerusalem in the 1070s to care for pilgrims to the Holy Land predating the Crusades. The Order assumed its military role in the twelfth century as its members, who were also knights, provided armed protection for pilgrims and the defense of the new Christian Kingdom against Muslim attacks. Today, the mission of the Order is to give glory to God by promoting the spiritual well-being of its members and providing assistance to the sick and the poor. Knights and Dames of the Order are also charged with the responsibility of defending the Faith.